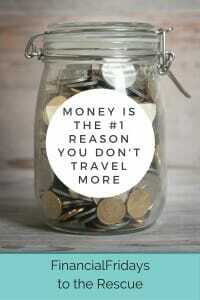 There’s no travel without going somewhere and it’s the getting there that can be expensive. Whether by trains, planes, or automobiles, getting to your destination can take a big bite out of your travel budget. 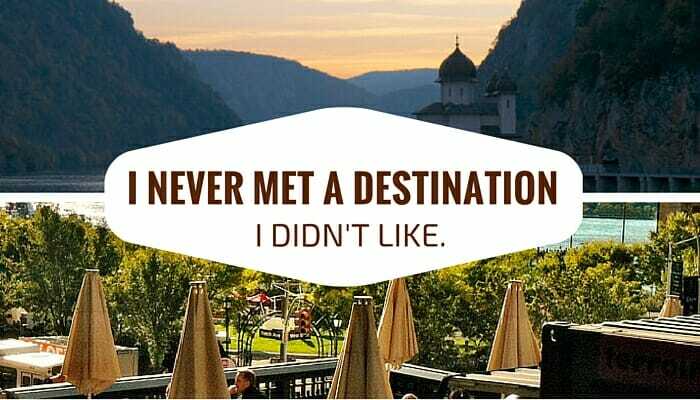 Fortunately, I’ve never met a destination I didn’t like. It’s true! I can find something interesting just about anywhere, whether it be the architecture, the food, cultural events, nature and landscapes, or the people. In fact, no matter where I go, it’s always fascinating to meet the people. Given that there are compelling aspects to every destination, when money is an issue, the decision about where to travel can be based on something else. When travel is the goal, and money is the obstacle, how do you decide where to go? Click and check out all the advice for travel and money in our Travel Money category. There’s more than one way to choose a destination when travel itself is the goal. Is there a city within driving distance of your home, or accessible by public transportation, that you haven’t yet explored? You don’t necessarily have to travel far to discover something new. There may be something interesting just an hour or so away, as I found out in Surprising Destinations in My Own Backyard: Oxford County. Choose a destination based on where the cheapest flight will take you. Just for fun, I tried this out this week. Choosing the last weekend in October (and making it a long weekend-why not?) I entered my home airport and used the “Everywhere” button on the Skyscanner site. This returned a list of hundreds of flights from Toronto, starting with the least expensive. Much to my surprise (and delight-this has me thinking now), I found out that for less than CAD$300, taxes included, I can buy a return flight ticket to any one of five different destinations in Canada and the United States: Sudbury, Sault Ste. Marie, or Thunder Bay in Ontario; Saint John, New Brunswick; or Boston, Massachusetts. Is there a destination where you could have free accommodation? Is your cousin in New York away on business, leaving her apartment empty? Does your friend’s family have a cottage that they are not using? Do you know someone who is traveling and would appreciate a house-sitter? I once stayed in the home of friends while they were off exploring Namibia. By booking in advance, I was able to take a train for less than $100 return, and enjoy experiencing life in a culturally stimulating town less than two hours away, but a world apart from my life in Canada’s largest city. By applying a little creativity to the planning process, taking advantage of tools like the “Everywhere” button or putting the word out to friends and family, and changing the starting point from destination to budget, you can achieve a great travel experience without breaking the bank. Have you ever planned a trip where travel was the goal and destination was secondary? Tell us about it below.